We would like to introduce you to Black Midi: part band, part mystery. Despite the fact that they've got almost no online presence and are still unsigned, the group has already garnered praise from media like The Quietus, Clash, NME, and The Fader. Having formed only a year ago, this London four piece is already storming UK’s underground scene with tremendous and terrifying force. Consisting of four young men from South London, who go by the names of Geordie, Morgan, Matt and Cameron, Black Midi are making quiet a name for themselves. 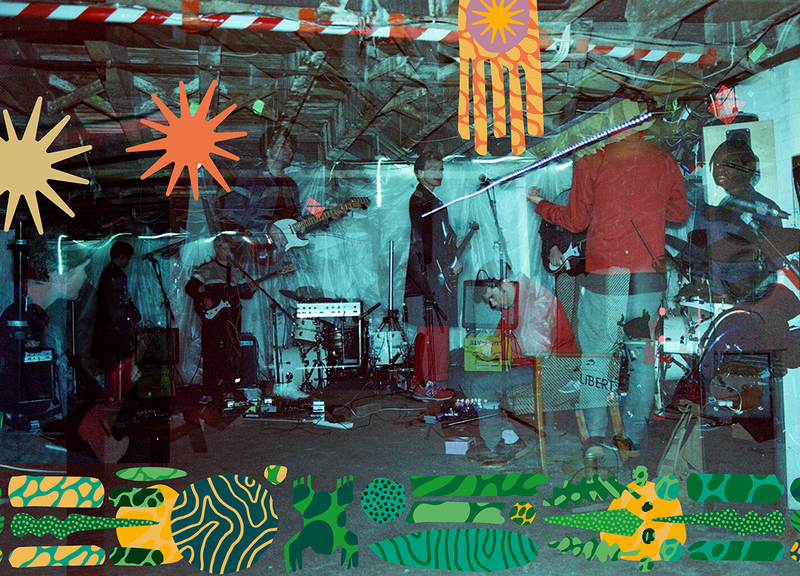 After a series of storied performances at the Brixton's Windmill venue, Brighton's The Great Espace and opening for Shame - which saw the main act insisting to "get down early to see Black Midi" - this impetuous crew is now heading to Utrecht with a ripping live set, to expand their following outside of the UK. By now, you're probably wondering how Black Midi sounds. Let us introduce you to their first (and only) single 'bmbmbm': a frightening piece of math-noise, featuring screams from an unknown singer, harsh vocals and dark, dominant guitar riffs. Following a notorious live session at NTS radio – during which all the song were so new, they didn’t had any titles yet – it starts off relatively calm. "She moves with a purpose," Geordie inscrutably speaks, as the track is gradually building tension and screams of a unknown woman emerge in the background. Suddenly, the steady beat is replaced by a blistering collision of sounds and 'bmbmbm’ ends in full, nasty overdrive. The dominant guitar riff becomes even more devastating, and a screaming guitar lead takes over the scene. "Disturbingly brilliant", to put it in Shame's words. Indeed, what a bold way to make your debut. Then again, their notorious live show promises to be even more intense. Black Midi performs at Le Guess Who? 2018 together with a.o. The Breeders, Mudhoney, Hot Snakes, Bo Ningen, Crack Cloud, FACS, Kikagaku Moyo, Psychic Ills, Yonatan Gat & The Eastern Medicine Singers, and many more.